It’s not all about large scale architectural projects or massive sculptures for the Festival Of Speed at Goodwood here at Littlehampton Welding. 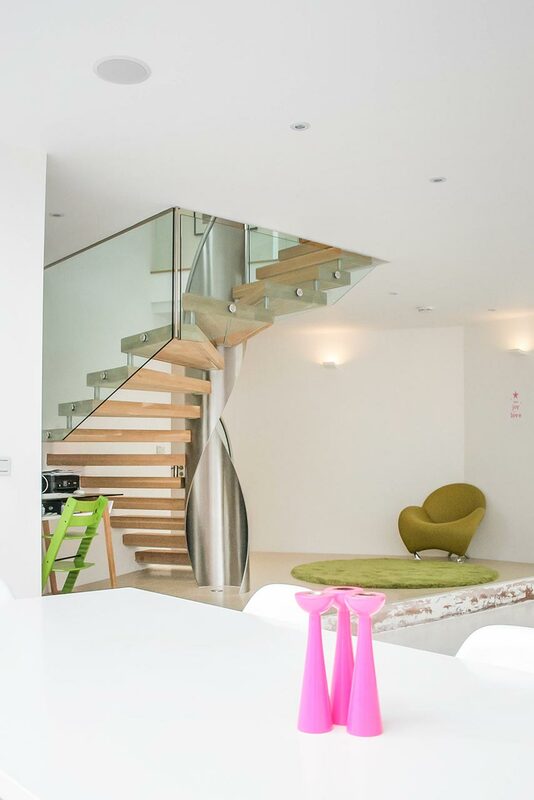 Sometimes we’re asked to do smaller, more domestic pieces too – like this bespoke spiral staircase for the Winchester based architects and designers Witcher Crawford. 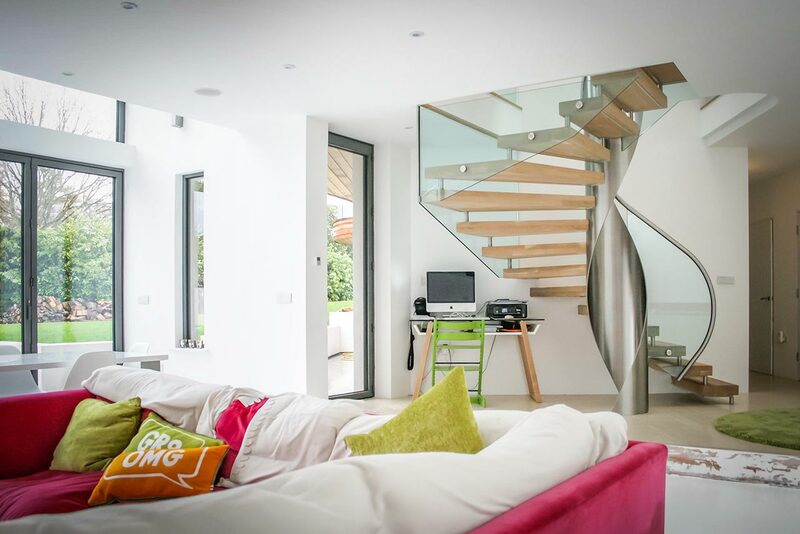 Created for a new, contemporary house called Kebun situated outside Southampton this is a striking piece of design. 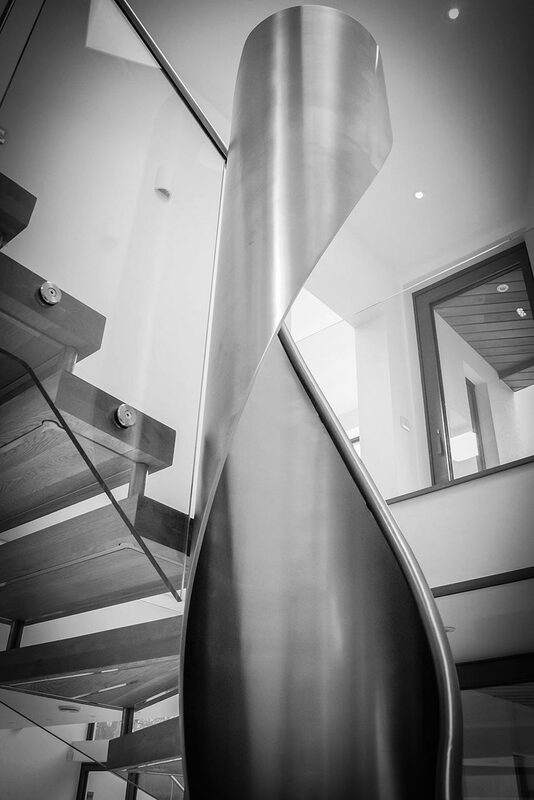 Instead of a more traditional solid central core this staircase has a hollow ribbon of 508mm stainless steel which gracefully spirals upwards from the ground to the first floor. 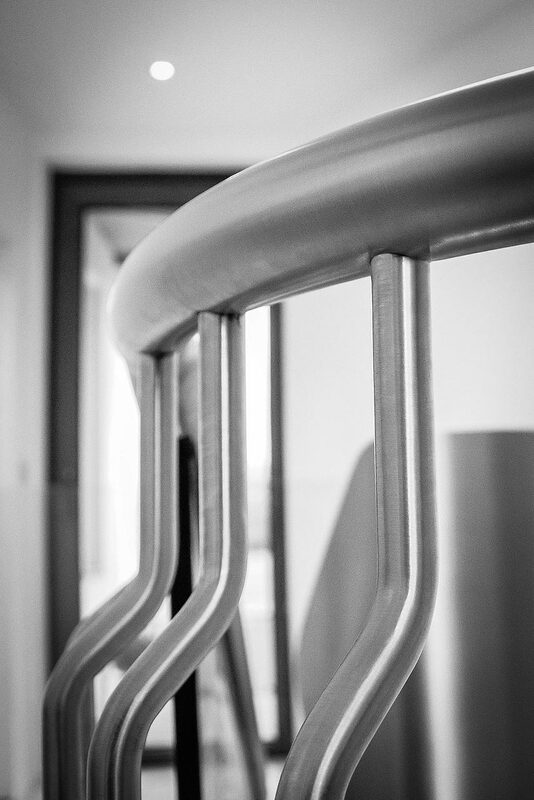 By following the snaking line of it’s top edge the handrail is cleverly integrated into this form being made of 42mm stainless steel tubing. 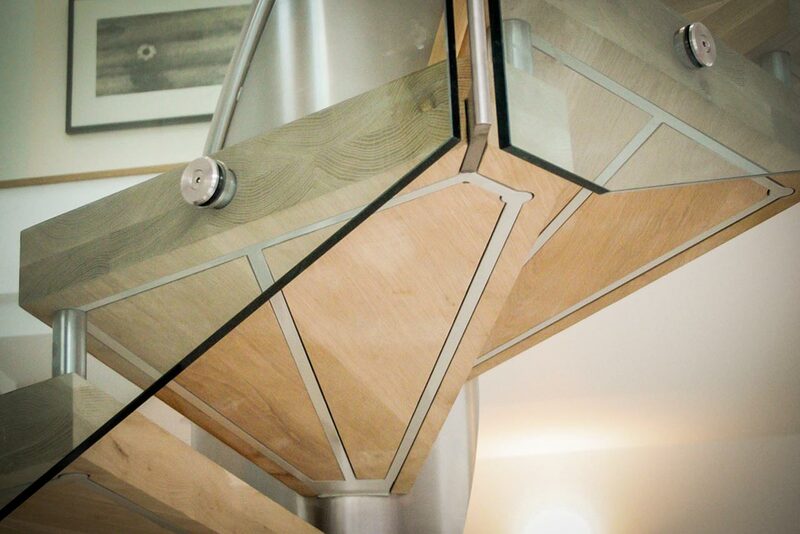 The oak timber treads fan out from the centre supported by 45 x 16 mm bright mild steel bars. 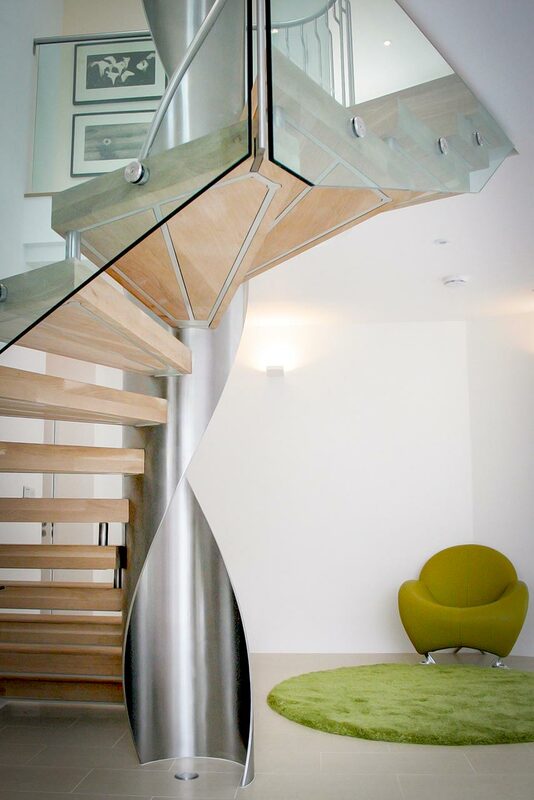 Glass panels complete the modern look filling the spaces beneath the handrail at the top and bottom of the stairs as well as forming the landing balustrade which also has thin stainless steel balusters. 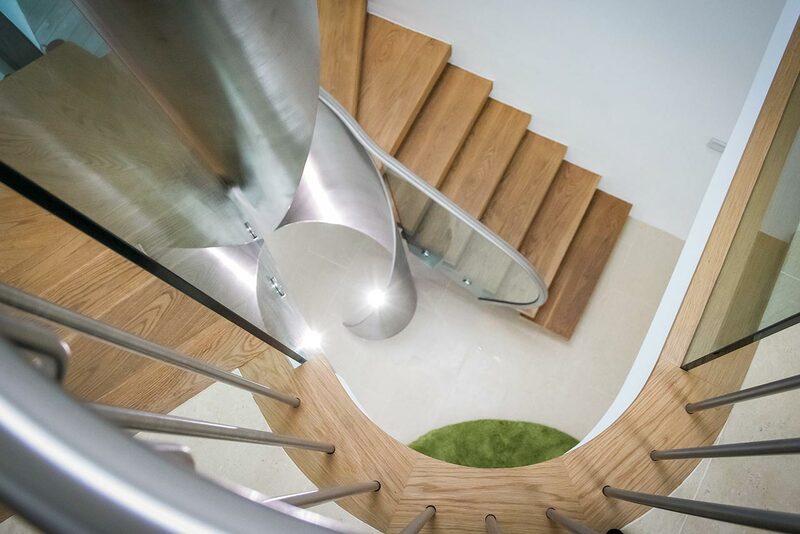 Due to limited space the stairs were pre-fabricated in sections with a maximum weight of 40kg so they could be manually lifted once on site. The main spiral core was delivered separately and required a 4 person lift. A small scaffold tower was used to access the top landing fixing points on the existing steelwork. 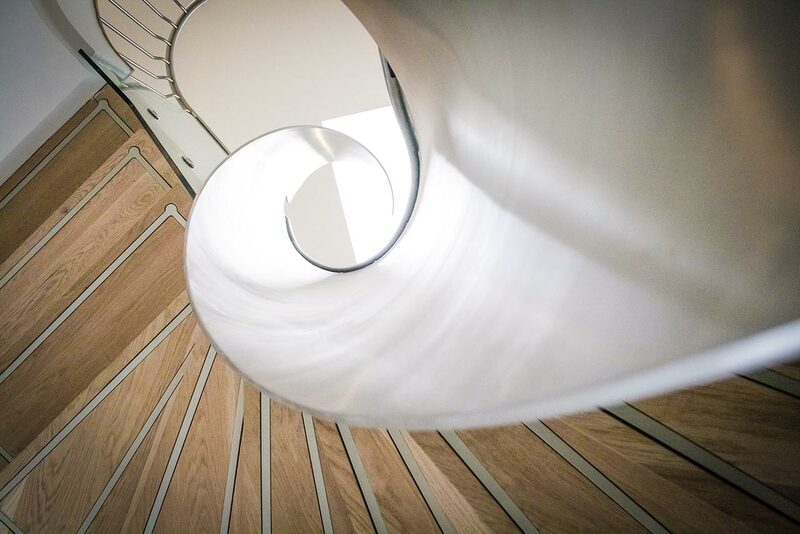 The timber treads were bolted onto the spiral one at a time working from the bottom up. Each of the glass panels were lifted into position manually using glass suckers and then secured.